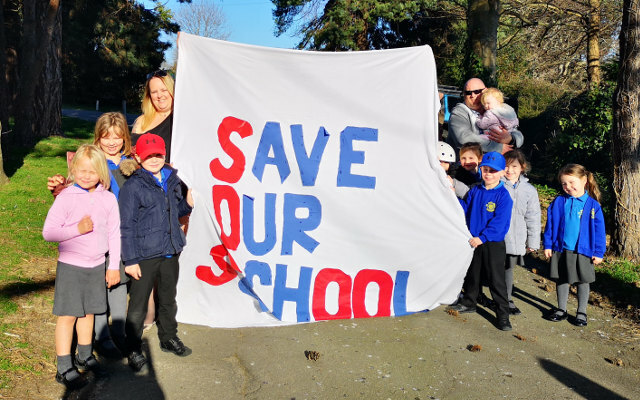 The Isle of Wight Labour Party has contacted all its members to encourage them to lend their support to the campaign to keep All Saints’ CE Primary School open. Isle of Wight Council holds a Cabinet Meeting on Thursday 14th March, at the West Wight Sports and Community Centre, Freshwater. Supporters of the school plan to demonstrate against the closure of All Saints’ Primary, from 4.30 to 5pm, in Moa Place. The Labour Party has asked all its members to demonstrate their support for keeping the school open, by either attending the demonstration or by lobbying their local councillor. “A school isn’t just buildings and land, although it often seems that is all the Tories see when they consider such things. A school is, in many ways, the heart of any community. We have to stop treating essential public services as if they are merely inconvenient numbers on a spreadsheet. “The Council should really have learned lessons from the previous attempt to close Sandown Bay Academy; communities know that schools are more than just bricks and mortar.